Pine Belt Chrysler Jeep Dodge Ram of NJ guarantees bad credit car loans to residents of the Lakewood area. If you have bad credit, applying for financing for a vehicle can be problematic. Settling for a vehicle based off of credit status rather than getting the car of your dreams is no way to live! The same is true for getting a car and not being able to afford the payments. Fortunately when it comes to bad credit vehicle financing in the Lakewood area, Pine Belt Chrysler Jeep Dodge Ram is 100% serious about creating a payment schedule you can handle to get you the vehicle you want! You can get the process started right now by filling out our online application on our website. You can also contact a member of our sales team if you have questions you need answered right away. Pine Belt Chrysler Jeep Dodge Ram of Lakewood, NJ is dedicated to enabling the best possible financing options for car buyers of all financial backgrounds! APR may vary. See Dealer for details. I’ve been turned down for credit elsewhere, can I still apply at Pine Belt? Absolutely! Our staff will work tirelessly to do as much as we possibly can to get you financing for a great vehicle. With the lenders we work with, as well as the inventory we offer, we are frequently able to obtain financing for individuals with all credit backgrounds. Am I still eligible for an auto loan even if I’ve declared bankruptcy? If you currently have a bankruptcy filing or have had one in the past, Pine Belt Chrysler Jeep Dodge Ram in Lakewood is glad to help and can typically still provide satisfactory financing for any credit status. I’ve had vehicles repossessed before, am I still eligible to apply at Pine Belt Chrysler Jeep Dodge Ram? Of course you can! Even with a past repossession, Pine Belt Chrysler Jeep Dodge Ram can still help find you a car that will work for your situation at a realistic price. Do I need a really high down payment if I have less than stellar credit? Pine Belt Chrysler Jeep Dodge Ram’s main goal is getting you into a vehicle you can afford. Obviously, if the down payment is too high, this can’t occur, so we will definitely not request a down payment that is outside of your budget. I don’t have any credit history at all – can I not get financing? We regularly finance customers with little to no credit status. If poor or no credit is a concern, speak with one of our sales representatives to see what options are available! I live far away from the dealership, is this an issue? Of course not! 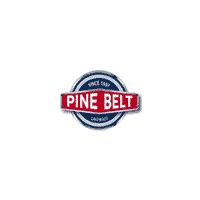 Pine Belt Chrysler Jeep Dodge Ram is located in Lakewood, New Jersey but has been serving local car shoppers for years. Even if you do not live local to Lakewood,New Jersey, just contact our dealership and we will be happy to be of service in whatever way we can!